The MDC Alliance led by Advocate Nelson Chamisa has threatened to boycott the forthcoming elections in the event that Zimbabwe Electoral Commission (Zec) does not include it during the production of elections material. MDC-T leader Advocate Chamisa wants Zec to provide information on which company is responsible for the production of ballot papers. 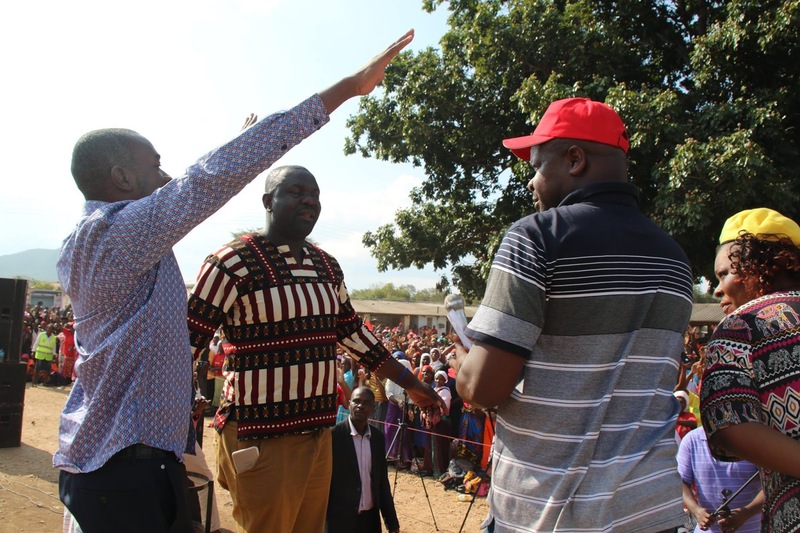 He made the demands on Sunday while addressing his party supporters during a rally held at Ruwangwe business Centre in Nyanga. Adv Chamisa said his party has since assigned Messrs Douglas Mwonzora and Murisi Zwizwai to monitor elections and travel to Western countries to find ways of forcing Government to have electoral reforms. “I told Ngwena when I met him at the stadium (during the Independence celebrations) that we are not going into elections before we agree on who is going to print the ballot papers, when, where, how many and who will be taking custody of them,” he said. Adv Chamisa told people who attended the rally that President Mnangagwa told him that the issue of ballot material was a security matter. He said other neighbouring countries were doing the same. “If they agree on the issue of ballot and we fail to get 70 percent of the votes it will be rigging,” he said. The MDC-T leader also said they will only accept the elections results if the United Nations observe the voting process and declare them free and fair. He also made his grand standing statements about the economy promising the rural electorate some changes in ICT saying every homestead would have WiFi despite several MDC-T dominated urban local authorities having failed to provide service in these municipalities. President Emmerson Mnangagwa is on record assuring the world that foreign observers are welcome in the forthcoming elections. The President was also on record preaching the gospel of free and fair elections. Mr Tendai Biti, who also attended the rally said they will not go into election unless the United Nations is allowed to observe the elections. He said the issue of ballot was of life and death. “The Zimbabwe Electoral Commission who run the elections must be independent. We do not want to see the National Logistical Commission which steals votes.